4 Ways To Make Money Produce More Money. “Money makes the world go round”, this perhaps is one of the most famous expressions about money. Money pays the rent, the bills, food, the kids’ tuition fee and money also allows us to bless other people. So this expression does not necessarily suggest a negative thought, does it? So if our money makes our world go round, wouldn’t we want more money in our bank account? I do. Being raised in a Filipino-Chinese family, I grew up that encouraged us to go into business. My parents often spoke about business as the best way to grow money and his advices motivated me to experience business as early as primary school when I would sell toilets papers and all sorts of toy items to augment my personal allowance. The beauty about doing business is that you do not only get the opportunity to double or even triple your money, you also get to fuel your passion and help other people along the way too. In doing business you need to assess your interest, your niche and passion: what’s something that you’re really good at? What’s that something that you can offer the world that has your identity written all over it? I’ve seen a lot of start-up businesses that went down the drain after a few months simply because it wasn’t the kind of business the owners were passionate about. Passion in business is a very important consideration; when you find it, start an action plan for your business. LEARN ABOUT INVESTING YOUR MONEY. Investment – big word. I used to associate it with people who actually have money. But that was where I was wrong. You see investments are not only for people who have overflowing bank accounts, they’re for people who want to see their money grow. So the question is: do you want to see your money grow? I’m pretty sure you’ve been approached by a friend or a colleague who shared about their investment ideas, one way or another. There’s investment in property, insurance, stocks and so many more. Investing your money makes room for it to grow. Remember the parable of the talents in the bible where one of the servants buried his money because he was so afraid to lose it – that was one sure way of stagnating your finances and that’s something you do not want. The aim is to be a good steward of your money and that includes growing it. So start checking out your options now and learn about it. What type of investment works for you? LEARN ABOUT YOUR SKILLS AND MAKE MONEY OUT OF THEM. One misconception about growing money through business is the need for a monetary capital to jumpstart it. While it’s true to most businesses, some small start-up businesses require skills as the bigger ratio of the capital. Do you cook excellently? Are you able to offer services in exchange for money? Are you passionate about tutoring kids? You see, learning the skills you’re good at might just jumpstart your way into business. The good thing about capitalising on your skills is that you become indispensable. This is a very good way of making more money! Start listing down your skills and expertise and try considering them to make more money. LEARN FROM PEOPLE WHO MADE IT BIG IN MAKING THEIR MONEY GROW. We all have role models that we look up to for inspiration and motivation. Some inspire us in the way we manage our marriages or finances and some in the way we dress up. That is what I did. I tired to study and learn from the people I looked up to. From books, cassette tapes (before), live seminars and personal coaching or mentoring. In our world today where influence can be found at the tip of our fingers or simply on the screens of our gadgets, we now have easy access to find motivation especially in the aspect of our finances. What path are you considering to take for business? People who have made it successful in their respective niches can inspire you to start yours. Learn from their humble beginnings and even their misses and see what lessons you can take with you in your own journey to becoming rich. What type of business do you want to go into? Do you have the tools and skills to start this business? How will this business contribute to your financial stability? 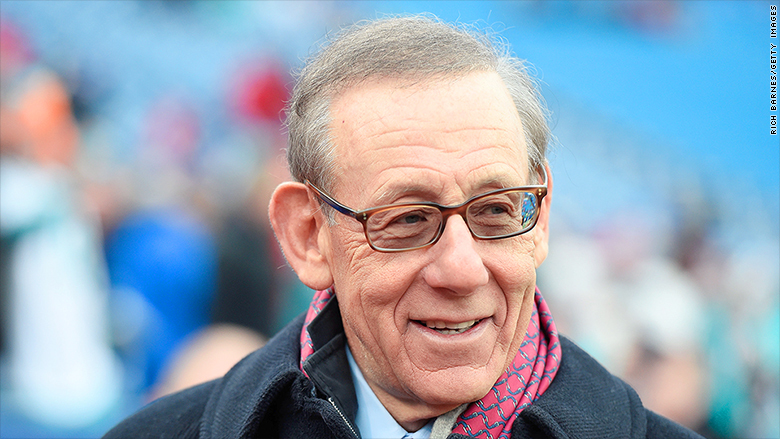 Stephen Ross was fired before he decided to start his own business. Ross's first job in New York was with Laird, a securities brokerage firm. It didn't last long. "They were having problems, and I was released, if you will," Ross said. He got a new job at Bear Stearns. That didn't work out either. At the investment bank, Ross clashed with a superior who didn't want Ross to take charge of a project Ross had been working on. Ross lost his temper. "Let's put it this way, I told him to f---himself," he recalled. "So I caused my own firing." The Detroit native was out of a job and desperate to stay in New York. "I had no money ... I didn't think anybody would be interested in hiring me, and I didn't want to go through that process again," Ross said. So he struck out on his own. "I went out and bootstrapped myself," Ross said. He borrowed $10,000 from his mother and started building his real estate firm, The Related Companies, in 1972. Though he had offers from investors, Ross wanted to keep control of the fledgling company. "I started working, and I really developed the passion for what I was doing," he said. "The more I did it, the more my passion grew." In retrospect, getting fired from Bear Stearns "was the best thing that happened to me," the Related chairman said. It wouldn't be his last roadblock to success. "Being successful, you don't go straight up," he added. "There's going to be obstacles along the way." Related was a thriving company when the real estate market crashed in the early 1990s. To protect the business, Ross made a deal with his lenders. "I was very proactive," he said. "I went to the banks and told them, 'Hey look, we got a problem. I owe you a lot of money ... what I want to do is have all the time to pay it off, and I'll give you collateral for the debt that I owe you.'" The plan worked. "[The banks] believed in me," he said. "[They] gave me the opportunity." Through Related, Ross made a mark on the New York landscape. Related developed the Time Warner Center in Columbus Circle, a tourist hub located steps away from Central Park. The 2.8 million square foot property was completed in 2004, and is home to retail stores, restaurants, a hotel and several offices -- including CNN's. The success left Ross hungry for more. In 2007, just before the 2008 financial crisis, Related put in a bid to develop Hudson Yards, a property along the west side of Manhattan. Once again, things fell apart. "The day before the bid was due, the tenant called and said they didn't like the environment at the time," Ross said. But Related got another chance and now Hudson Yards — the largest-ever private real estate development in the United States — is back on track and scheduled to be completed by 2025. "We lost and then when it came back, I was as thirsty and hungry to do it as I ever was," Ross said. "Fortunately, it's worked out." Today, Related has more $50 billion in real estate assets. At 77, Ross has no plans to slow down. He wakes up at 6:15 each morning and exercises every day. "Two or three times a week I'll go to the bottom of Time Warner Center and walk up to the top, about 700 feet, two steps at a time." When he wants to relax, he plays golf, boats and works. "When you love what you doing, you're not working a day in your life. That's how I feel," he said. "I want to be the best in class, whatever I do," Ross said. "We're in so many different businesses now, but there's a common theme ... it's working with great people." In addition to serving as chair of Related, Ross owns the Miami Dolphins and is the chairman of the board at Equinox. "I never thought I'd be where I am today," Ross said. "I kind of pinch myself, but I don't sit back because I'm always looking forward." Last 2009, bumili ako ng condo as investment. It’s a 28sqm 1BR unit worth PHP 2.27M. Since nasa Singapore ako, I asked my friend to help me look for a good one. Luckily, he found one and katabi lang ng isang malaking university sa Manila. I contacted the agent and close the deal in a month after sending all the documents required. It was a 1BR unit located on the 20th floor of the building, facing the school. In fact, pag dungaw ko pa lang sa maliit na balcony, kitang kita ko ang malawak na ground ng katabing university. Kumpleto ang amenities, wala ka nang hahanapin pa. I’m sure I can find tenant and get passive income. Yon naman main reason ko kaya bumili, para parentahan. Unfortunately, I was financially ignorant during that time. I do not know assets and liabilities, I do not know financial literacy and I do not know what are the available investments that I can grab for investments. Typical OFW, real estate property agad ang naiisip na investement. Then came 2012, turn-over na ng unit ko. That’s where the start of long lessons that I learned on this journey. Do not expect much on the delivery date. Sabi ng nakausap kong agent, most of the time delayed daw yong delivery due to various reasons. My unit was supposed to be delivered end of 2011, but end up delivered May 2012. Nagalit pa ko sa agent ko noon, but she cannot do anything as well. In law, they are allowed daw up to 6 months from the target completion date to deliver the units. Don ka pa lang pwedeng mag lodge ng complain after. As you see, medyo mabigat din to sa bulsa. Sino nga namang agent ang magsasabi nito sayo kung hindi mo itatanong. Since OFW ako, ang main concern ko nung bumili ako is how am I get a tenant. Wala rin naman akong family member na makaka-asikaso nito so not a good idea for OFW’s. But my agent told me that it comes with a condo administrator which will help us find tenant for the property. We do not need to be worried, kase sila na hahanap ng tenant and ipapadala na nila yong kita sa bank account ko. Sounds a very good deal di ba? Kaya lang, hindi na explain ng agent ko na I have to pay for the service. In 12 months, they will get 1 month rental or around 8% of the revenue. Malaking part din yon, but you cannot say no kung wala ka rin namang magagawa. So for me, I will accept that offer. Kaya lang, when I inquire about this and asked how much they will rent out the unit, they told me it’s only PHP 13K minus monthly association dues pa which is around PHP1,500. Way too low than what I expected rental price. Added to that, maraming unit ang naka enrolled sa kanila for management and hindi naman guaranteed na may makukuha nga silang tenant. Imagine kung may 100 units na minamanage sila, kaninong unit kaya ang pipiliin nila? Mapili kaya nila yong unit mo agad? Did you see my point? So kahit pa sabihin ng agent sayo na mag magma-manage, wala pa ring assurance na marerentahan ang unit mo. In the end dahil frustrated ako sa condo management scheme nila, I decided to look for my own tenant. Luckily I found and rented the place for PHP 21,500 including the monthly association dues. Layo ng difference sa admin offer to manage the place, wala pang kasiguruhan. May na meet akong agent na pumayag to look out for my property and assist future tenants kung meron man. Syempre, for a small commission. Luckily, I was able to find tenants thru online marketing and they rented the place way higher than the condo management can offer. In fact, baka nga sinadya nilang babaan yong rental fee ng unit mo so they can add more in the end. Sales agent receives commission when they close the deal. In fact in real estate, malaki commission nila. And that is their mission, to get commission and hit their quota. Sadly, some of these so called agents eh hindi man lang naiisip ang kapakanan ng bumibili. May enough na pera ba sila? Kaya ba nilang bayaran yong unit in few years? Stable ba yong trabaho nila? I know there are some na hina-hype din nila yong sales talk nila, giving figures which are not accurate are purely on theory lang. Kaya naman yong audience, napapaniwala nila na good investment ngang talaga. But then, these so called sales agent do not even own units on this area. Binebenta lang nila yan most of the time. In the end, nasa atin pa rin ang last say kung bibili o hindi. Aralin muna bago mag invest sa condo property. Do not get condo after the talk, pag-isipan mo munang maige. I research mo muna kung tama ba lahat ng sinabi sa sales talk. Kung pinapirma ka na agad at pinapabayad ng downpayment at that day, mag-isip-isip ka muna. Good investment nga ba ito? It may be too late to realize your mistake. In a rental property, napaka-importante ng location. You need to make sure may demand ng rental property, otherwise di ka makakahanap or mahihirapan kang ng tenant. Around the university, maraming small boarding houses. Plus may existing 2 condo units from different developer ang nauna ng mag turnover kesa sa condo building ko. And since the turn-over, hindi ako nawalan ng tenant. As a matter of fact, tenants are emailing me for inquiries. However, my agent updated me last year that there are another 4 condo units from different developers na itatayo around the area. In fact yung isa katapat lang ng location ng condo ko ngyaon. All of them matatapos around 2016 onwards, not sure on them all but mostly matatapos sabay sabay. Nakita nyo yung magiging problema ko in the future? Magkakaroon ng over supply in the future while the demand remains the same. While I am happy na hindi ako nawawalan ng tenant sa current market competition, I know for sure na yong iba kong condo neighbors ay hindi makahanap ng tenant nila. Siguro maswerte lang ako and I look for tenant in the right place. But now my worry is, after 2016, makahanap pa kaya ako ng tenant? The lottery—which thrives on the very notion of fortune and chance—has proven to be one of the few businesses that can withstand even the worst economic conditions. “In our experience, a lot more people place their hopes on lotto during economic hardships. It’s safe to say that our sales remain stable,” says Arnel Casas, the current OIC of the Gaming Technology Department of Philippine Charity Sweepstakes Office (PCSO). In fact, lotto sales tend to go higher whenever the jackpot prize shoots up. “When we raise the jackpot prize above P200 million, people expectedly double their bets. Even those who don’t usually play buy tickets,” Casas says. Click here to read the full article on how to become a lotto agent from entrepreneur.com.ph. 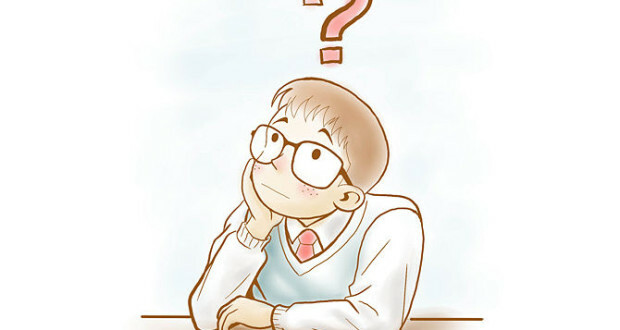 When Thinking of Setting-up a New Business — To Go or Not To Go? This year, I was again invited to talk about the same topic and was so excited to share with these young people and soon to be businessmen our own personal experience after the coffee shop has been in operations for almost two years now. Unfortunately, I missed giving out the talk because of wrong assumption on talk schedule..Talking about attention to details…Hahaha! Edna and I have a share of our own personal struggles in the corporate world. Have you had a boss who would shout at you for just a minor imperfection in the report you submitted or have you been frustrated with the ever change in management directions? We know that in due time, we have to retire from work and have to be busy with something else. So Edna thought about being in the cake business. Cake would usually go with coffee so the idea of putting up a coffee shop business was borne. Edna attended a seminar on coffee business and started consolidating all the cake recipes that she had kept for years. Edna is always on “high” every time she bakes especially when exploring new recipes. She would stay up late just to finish a recipe even after a very long day in the office. For normal people who may not have love for it, they may find baking physically draining. Doing things that you love the most help you provide a better quality of your output despite struggles. I know when Edna is not in the mood in the way the finished product of cake would look like in the end. So I have arrived at the conclusion that the passion for what you do, the interest and desire you put in to your work reflects in your output. Other than the heart and the desire, other factor that will make things easy even during difficult times in operating a business is competence in the chosen field of business. It is difficult to maintain a business that you are not familiar with. Learn, learn and learn and be an expert in your chosen field of business. Do not hesitate to hire an expert on areas that are necessary in your operations but you do not have the expertise. Bake & Brew decided to hire a consultant expert in coffee business because we need to know the “ins & outs” of the business. While we want to provide quality cake products, we would also want to have quality coffee to go with it. Now we can say that we were right to hire a consultant who helped us harness the skills in coffee making not only of ourselves but of our staff as well. We now have regular clients who come to our shop because we have one of the best and most authentic coffees available in the neighbourhood! So “to go or not to go? Have a heart and be competent in the field you want to pursue. In setting up your business, you should first define your mission and vision…sounds very corporate right? But it is important to know who you are and who your market is so you know what to serve. In this way, you do not lose your identity and so you will remain focused on what you want to do for the shop. In the case of Bake and Brew, we have always wanted to offer homemade quality products of cakes and other food items. We noticed that our area in Better Living lacked a coffee shop that is decent and fresh. So we invested on a very practical good ambiance by pooling young talented people to design the shop for us. We realized people in the neighbourhood are looking for quality but value for money products so that is exactly what we have in the shop. The other consideration in setting up a business is your financial capability. Do not venture in a business if you do not have the financial capability to support your business. It is also not wise to pursue loans with huge interests and even putting all your assets as collaterals. Edna and I are just so blessed to be able to divest on our real estate in Pampanga with an amount just enough to support the financial needs of Bake and Brew. (Talking about divine intervention, right? Just so grateful for all the guidance, support and the love from up above..) We also made sure that if something not nice happens, we do not end up having nothing for us and for our kids. These may sound easy but actually they require a lot of hard work and perseverance. In growing your sales, it is important that you have a quality product in the first place. Bake & Brew is just so blessed for the positive feedback on our carrot cake, among others. Our product became our walking advertisement. From a first time customer passing on the positive feedback to their friends of the good food experience they have, we now have products that are best sellers in the shop. It is also important that you make your target consumers be aware of your shop. It is sad to have a good product but no one is aware there is a good product available in the shop. In this age of facebook evolution, make yourself visible in group pages. Or have a page of your own where you can feature products available in the shop. Maximize also your presence in other social media such as tweeter, instagram and the likes. Because of Edna’s continuous effort to learn, we were able to find a niche market of our own. We now create personalized themed full fondant cakes for occasions such as birthdays, engagements, baptism, anniversaries, weddings and all other personal celebration of clients. If someone asks as to who creates one of the best personalized cakes in the neighbourhood, there will be at least two or more neighbours who will put us on top of their list. Mind you, Edna did not have formal baking lessons. She just did it by herself researching in the internet. Youtube is a school for her where there are no tuition fees and exams! No amount of formal schooling can replace great interest and heart for what you love the most and in order to succeed in your chosen business!Don’t get me wrong, education is of prime importance but coupled with learnings, DESIRE is the key! When a business becomes successful in some areas, an owner may sometimes get too excited to venture on other things depriving himself of focusing to what they do best and consequently spending on things that are nice to have but are not essentials to the business. Even successful businesses with good sales fail when they do not manage their costs. So manage your costs and spend wisely! Do not invest on very expensive espresso machines, expensive POS, high tech CCTVs, and other nice to have gadgets. It is enough to invest on a hardware that has basic features and specifications. It is also exciting to offer as many variants as possible but rationalize on products that are not doing very well in the shop. In this way you minimize cost of inventories and spoilage. Another advice is to have a heart for the people working for you. They are your great asset! Trust them and they will trust you back. Have sympathy with them and they will sympathize with you in return. Lastly, always seek for guidance from up above. He is our source of strength and orchestrates things for us so always trust the Lord for his mercy! In our case, we felt that He has always been on our side from the time we thought about being in business, in the planning and execution of the plan. He provided us the financial resources we need at the right time when someone from nowhere got interest of buying our lot in Pampanga in cold cash of a value of investment we need in putting up the shop! We did not have to resort to reconfigure some of the humble investments that we have nor secure loans that may put pressure on our financials if the shop does not turn out well as expected. With the desire and heart for your business, with your competence & having the right products and the right exposure to your market and with enough competence, with your costs rationalized and contained, and with guidance from up above, there is no way for your business but to go up!!! Anton Padua is a Manila-based entrepreneur who manages a successful community coffee shop south of the metro named Bake and Brew. His day job as Supply Chain Manager for a diversified conglomerate helps him get more on-ground entrepreneurial insights from SMEs. For weekly tips and insights on entrepreneurship, follow Anton on this page. You can also email him at: armpadua@yahoo.com.